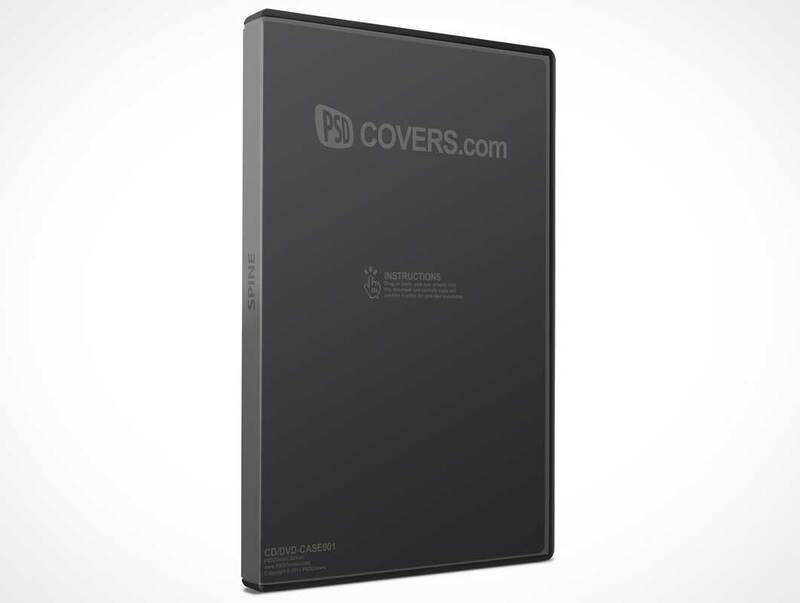 CDDVDCASE002 is a 30° angle shot of a CD, DVD portrait mode jewel case which can be used to make a PSD CD case of any music, video or HD movie box cover. This PSD Mockup presents your 2D artwork as a fully rendered 3D product shot of a CD or DVD case facing forward at a slight 30 degree angle. The gerneated photoshop document contains multiple editable layers for further manual modifications.